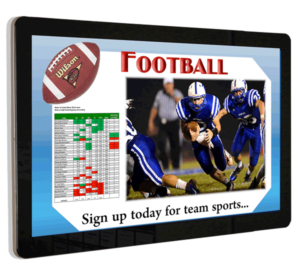 All-In-One Digital signage system. Plays images, sound and video by playlist. Plug & Play USB media input. Bright 1920×1080 42″ display. Low power operation >35 Watts Includes: Remote control, AC power cord, VESA (400mmx400mm) wall mount, Key. Perfect for hotels, Banks, Retail, Restaurants, Hospitals, & Lobbies. 42″ display performer for any public space.